Big Data Hadoop training course in Jaipur lets you master the concepts of the Hadoop framework and prepares you for Cloudera’s CCA175 Big data certification. With our online Hadoop training, you’ll learn how the components of the Hadoop ecosystem, such as Hadoop 2.7, Yarn, MapReduce, HDFS, Pig, Impala, HBase, Flume, Apache Spark, etc. fit in with the Big Data processing lifecycle. Implement real life projects in banking, telecommunication, social media, insurance, and e-commerce on CloudLab. What are the objectives of our Big Data Hadoop Online Course? The Big Data Hadoop Certification course is designed to give you an in-depth knowledge of the Big Data framework using Hadoop and Spark, including HDFS, YARN, and MapReduce. You will learn to use Pig, Hive, and Impala to process and analyze large datasets stored in the HDFS, and use Sqoop and Flume for data ingestion with our big data training. As a part of the Big Data course, you will be required to execute real-life, industry-based projects using CloudLab in the domains of banking, telecommunication, social media, insurance, and e-commerce. This Big Data Hadoop training course will prepare you for the Cloudera CCA175 big data certification. What skills will you learn with our Big Data Hadoop Certification Training? Who should take this Big Data Hadoop Training Course? What projects are included in this Big Data Hadoop Online Training Course? 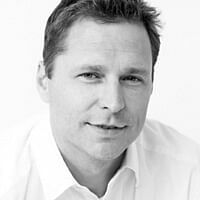 How will Big Data Training help your career? What types of jobs require Big Data Hadoop trained professionals? What are the prerequisites for this Hadoop Training Course? How long does it to take to complete the Big Data Hadoop certification course exam? How many attempts do I have to pass the Big Data Hadoop certification course exam? How long does it take to receive the Big Data Hadoop certification course exam? How long is the Big Data Hadoop course certificate from Simplilearn valid for? If I fail the Big Data Hadoop certification course exam, how soon can I retake it? If I pass the Big Data Hadoop certification course exam, when and how do I receive my certificate? Simplilearn is one of the best cost-effective solutions to learn online. I enrolled in their Big Data Hadoop and Spark Developer course. The course content was really nice. The certification helped me to land a job in Pixere Consulting Pvt Ltd. as Software Engineer. The practical usage and the implementation of the concepts were excellent. The session on Map reducer was really interesting, a complex topic was very well explained in an understandable manner. Thanks, Sarvesh. It was an amazing session. Thanks to the trainer for sharing his knowledge. I am impressed with the trainer's in-depth knowledge and excellent communication skills. He understood our questions and answered them very efficiently. Simplilearn's Big data Hadoop course is amazing. The virtual class contents and materials are simply awesome. You can pause and play as many times until you learn the concept. The game changer is the demo of each and every concepts and scenario, assignments at the end of each lesson. Webex classroom sessions are superb. You can even attend the class using your mobile on the go. What else you want. You can also attend multiple classroom sessions of different well qualified teachers. I joined Simplilearn to explore more about the upcoming Technology. Just 1 month of course along with sufficient practice landed me a job in a Top IT MNC. I never thought an experienced person can start as fresher in Bigdata, but Simplilearn made it happen. Thank you Simplilearn. Simplilearn is highly recommended for any online technical classes. Their course covers the whole syllabus. The customer care was supportive. Thank you Simplilearn. 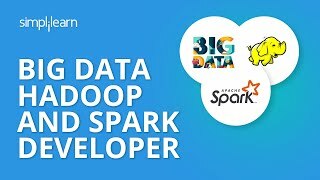 I have enrolled for Big Data Hadoop Spark developer course from Simplilearn. The course was well organized, covering all the root concepts and relevant real-time experience. The trainer was well equipped to solve all the doubts during the training. Cloud lab facility and materials provided were on point. I have enrolled in Big Data Hadoop and Spark Developer from Simplilearn. I like the teaching way of the trainers. He was very helpful and knowledgeable. Overall I am very happy with Simplilearn. Their cloud labs are also very user-friendly. I would highly recommend my friends to take a course from here and upskill themselves. Very patient and knowledgeable training staff. Step by step learning with practical sessions which give us an in-depth understanding. Additional Video classes, PDF's and Recordings of training help us in a great way. The host and the support team are very proactive and helpful in solving queries. Great way to go!!! Just awesome! I have enrolled for Big-Data Hadoop and Spark Developer from Simplilearn. The course was explained using very simple and real-time analogies which helped me to understand the concepts and also do exercises easily. The trainer was really helpful and was always willing to share the knowledge with the wider audience. I highly recommend Simplilearn. Simplilearn’s Big Data course prepared me with the skills to get ahead in my career. The course helped me to enhance my career from Senior Associate to Program Operations Manager at Sapient within 1 year of completing the course. The overall experience has been great with Simplilearn. The course content is very thorough and easy to understand. Online classes are held on a regular basis with the terrific instructor who makes it much easier for us to understand the concepts. Real time examples make the content relatable for even a layman. Faster query resolution is provided. They have support ticketing system through which you can create a support ticket for any kind of queries to get a quick reply. Live chat sessions are also there to get real-time help. The course videos are designed in a very interactive way and the duration of videos is minimal to keep you interested in the topic. The cloud lab feature is also great for people who are not able to install the software on their own machines. The cloud lab allows you to complete your assignments and practice work there itself. In-depth information is provided about each topic and other course materials are also provided to help with complete learning. All in all, I will suggest to try out the courses provided by Simplilearn as they are excellent according to different certifications which are great for the professional career. The training was conducted well, the instructor explained the concepts from scratch, made us think beyond our imagination and this has made me more confident. I learnt different solutions used in Hadoop designing. I recommend the course. What are the Big Data Hadoop job opportunities in Jaipur? What is the market trend for Hadoop in Jaipur? According to TeamLease, a staffing solutions company, a data scientist with an average working experience of about 5 years has the potential to earn about 75 lakhs per annum, while CAs with the same level of experience earn about 8-15 lakhs and engineers earn 5-8 lakhs. If this salary trend is anything to go by, then the demand for data professionals has never been higher. In 2017, a report by Analytics India Magazine highlighted the rising trend of data-oriented jobs. 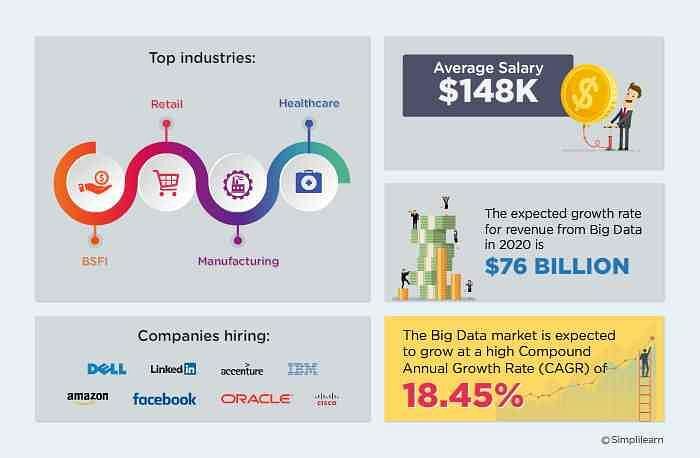 According to this report, the number of big data jobs in India almost doubled in 2017, and over 50,000 positions are yet to be filled. In 2017, over 3% of all analytics jobs originated in Jaipur. However, in cities like Delhi, Pune, Mumbai had 27% of jobs being generated in the same year. Which Companies in Jaipur are offering Jobs in Hadoop? Several companies in Jaipur are on the lookout for Big Data professionals. According to Naukri, some of the top companies looking out for big data professionals in Jaipur are Marriott International, Astegic, LoginRadius etc. What is the Salary of a Hadoop Developer in Jaipur? According to Payscale, big data professionals in Jaipur can earn an average of 2.5 lakhs per year. However, a big data professional with experience can earn up 4.5 lakhs per annum in Jaipur. However, in cities like Delhi, Mumbai, this can go up to 17 lakhs. What are the System Requirements for attending Big Data Hadoop Certification Online Course from Jaipur? Headset, speakers, and microphone: You’ll need headphones or speakers to hear instruction clearly, as well as a microphone to talk to others. You can use a headset with a built-in microphone, or separate speakers and microphone. What are the modes of training offered for this course in Jaipur? What are the other top Big Data Certification Courses, Simplilearn is offering in Jaipur? Keeping up with the Big Data & Analytics boom, Simplilearn has tailored very comprehensive Big Data certification programs in Jaipur which ensures a complete development as a Big Data professional. Are the training and course material effective in preparing me for the Big Data Hadoop certification exam? Yes, Simplilearn’s training and course materials guarantee success in passing the Big Data Hadoop certification exam. Jaipur, the capital city of Rajasthan, is popularly referred to as the Pink City of India. It is also an important center of economy and e-commerce in the state. Jaipur is one of the most visited tourist destinations in India and tourism is one of the primary pillars of the city’s economy. The city is also one of the primary exporters of gold, diamond and stone jewelry in Asia. The city offers scope for professionals with diverse professional interests to grow in their fields. Apache Hadoop is a platform that allows you to process and analyze large datasets stored for analysis. After taking Simplilearn’s Hadoop course in Jaipur, you will be able to master real-time data processing using tools like Spark. Becoming an expert in Hadoop will enable you to fully understand data in order to be more intelligent about your business. Data Scientists have the potential to earn about 19 lakhs a year in India and are in demand throughout the world. Simplilearn is powered by the Apache Software Foundation and offers a Hadoop certification course in Jaipur. If you’re interested in becoming a data scientist, Simplilearn’s learning delivery model combines the personal motivation of live virtual classroom instruction with the reinforcement of relevant practical projects. Our experts will ensure that you understand various aspects of the Hadoop Distributed File System (HDFS). If you ever have any questions about your training, the support of our 24/7 live teaching assistants is another benefit of learning with Simplilearn. Programmers interested in becoming a data scientist need to be proficient in Hadoop. Let Simplilearn help you make the most of your current or future data analysis career with an intensive training course for Hadoop certification.